Rihanna Rogue inspires me a strong woman, bold personality. 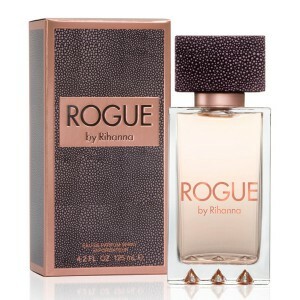 Rihanna Rogue 125ml. Eau De Parfum for Women that will improve your mood. Aromatic essences through which to project one's self. Flirtatious, sensual and seductive, as well as singer Rihanna herself. Be like her, original, confident and stylish. 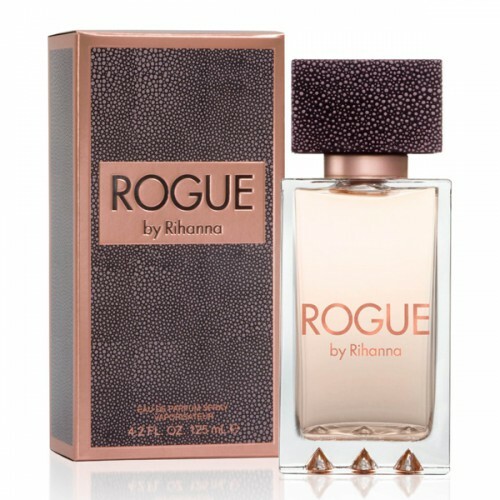 Parfum for Women Rihanna Rogue is a combination of many interesting elements, including wood, patchouli, jasmine, cyclamen and roses. Connection oriental ingredients with which you can experience endless adventures fragrance. Sweet temptations of life firsthand. Rihanna Rogue is a refinement of itself. Perfect vial of a very simple design, yet based on precise processing of every detail, including the closure interesting. It is high time to climb out of its shell lackluster ladies and get to express your self. A wonderful fragrance, especially for the cold season. Not exactly the kind of fine fragrance, a little sting at first, but turns into something elegant, feminine, slightly powdery. I wear it to the office because it is not disturbing to others and persist long enough, so do not need to reapply it during the day. However, it can be treated successfully and evening, at a party or club. This perfume inspires me a strong woman, bold personality.